HostBudget has a support team that is ready to help you with whatever problem should arise. To speak with our staff, please refer to the information below. You can contact us via email at the following addresses. Please use our help desk software within your Client Area for submit a support ticket. Do you require the assistance of a live operator, please do not hesitate to utilize our 24/7 Live Chat support. You can start a live chat session at anytime by clicking on the Live Chat icon located at the top right corner of all our web pages. Browse our KnowledgeBase to get answers to your questions. This section provides documentation regarding each aspect of our web hosting operations, including our systems, platforms, and features. Our Flash Tutorials are here to help you fully utilise your web hosting control panel. Choose a task from below to see a step by step tutorial on how to complete it. Our Flash movies will teach you how to get the most out of our web hosting services. 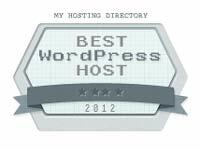 Don't have a web hosting account with HostBudget? Please check our Knowladgebase & F.A.Q. page before submitting a question. Please do not use the following form for technical support. Orders can be set up Instantly after the payment. Do you offer a money back guarantee? Yes, we want to prove our services to you. If for any reason you are not satisfied within your first 30 days. Will the price increase later? Price is locked in for the life of your account. We guarantee that the hosting prices will never increase. No, HostBudget does not place any advertisement on your web site. Why use HostBudget as your web hosting provider? With a lot of web hosting features for such a low price backed up by a money-back guarantee, how could it go wrong?